Complete building resource data collection and management solutions. To monitor the resources used in a building on an ongoing basis, you may need to implement a tracking and reporting system. Our non-residential Cyberhawk™ Submeters can provide cutting-edge metering for both power quality and consumption/production data for energy, water, gas, steam, and more. 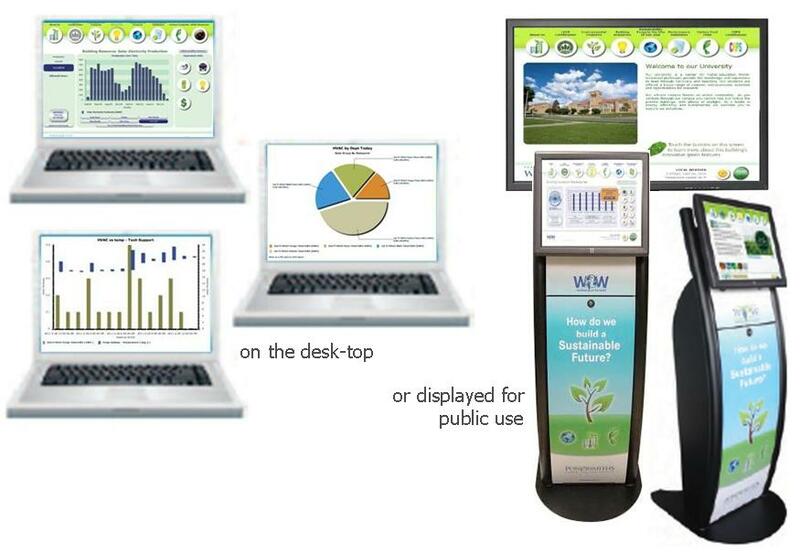 Our high-performance meters are fully-equipped with web servers, energy management software, and an integrated connection to Powersmiths WOW™ sustainability education platform. Users can easily access live and customized reports anywhere with an Internet connection. 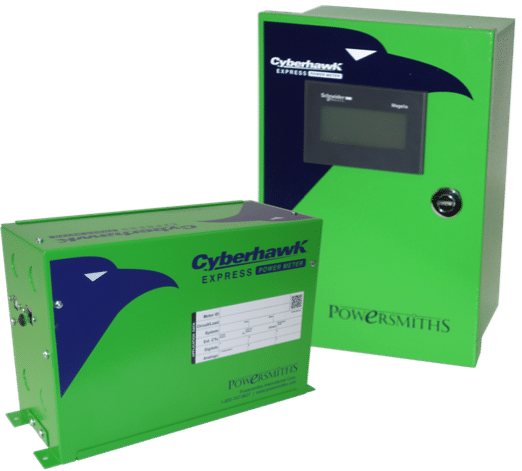 To further improve sustainability practices, Powersmiths’ Cyberhawk TX™ and SMART™ meters have been specifically developed to monitor power quality, consumption and energy waste at the source of electrical distribution. These meters are directly integrated into PDUs, onto existing or new transformers, and offer the convenience of web-accessible reports. These meters help to reduce operating interruptions and reduce safety risks by mitigating the need for hands-on metering. At Powersmiths, we understand how important it can be to build and/or maintain a sustainable building. Enforcing energy-efficient practices can help to ensure a minimized environmental footprint, save costs, and help reduce wasted power. We offer a variety of products that can help improve your buildings’ electrical system long-term, while efficiently managing used resources. Our non-residential submetering systems are cost-effective and fully-equipped with web-ready user interfaces for your convenience. The Cyberhawk Express™ Submeter is designed with innovative technology, enabling it to deliver rapid results cost-effectively. It doubles as a single and multiple meter solution, that delivers application-based, scalable solutions for basic and complex data collection and logging requirements. Integrated metering systems can help you view, track, and record the resources used and the quality of power you’re using. 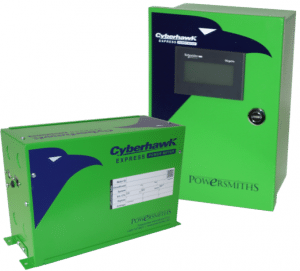 The Cyberhawk™ 300 Submeter is a multi-port energy and power quality Submeter. It provides measurements for energy, power and power quality, and offers user-defined event logs. This Submeter can save costs and space by configuring up to 3-phase ports without the need for any additional meters. Save costs and power with the Cyberhawk™ 200M Submeter. It’s designed to monitor energy, power, and power quality with digital inputs that count pulses from external elements, such as gas and water. Save even more space and costs with configuration options that allow the integration of up to six meters in one place. Submeters integrated into the transformer and PDU before they ship. Powersmiths WOW™ is a comprehensive cloud-based building resource and data integration platform that doubles as an educational tool. This tool can help improve resource management techniques by integrating metered and sensor data within a building. Users can access an easily-navigable platform that offers a selection of automated and customizable reporting. Live data is utilized to build occupant awareness of sustainability initiatives, measurement and verification (M&V) of energy conservation measures (ECM’s), more in-depth insight on tenant billing, convenient managing and reporting of resources, and the performance of the systems and sub-systems. Contact our experts at Powersmiths today to learn more about our products for effective resource management. Organizations can’t manage the resources they can’t see. That’s why an in-depth and proficient management and verification system is imperative to the sustainability of a buildings’ electrical system. We understand that managing the energy consumptions and energy costs of your organization is of high importance. That’s why we have developed Cyberhawk™ submetering and Powersmiths WOW™ building resource management systems. With this technology, you’re enabled to collect important resource data for your building, automate reporting, and even provide customized visualizations that encourage sustainability outreach and education initiatives. These systems can help you to understand usage patterns and profiles, identify cost avoidance opportunities, and verify the performance of any newly-implemented energy conservation measures. 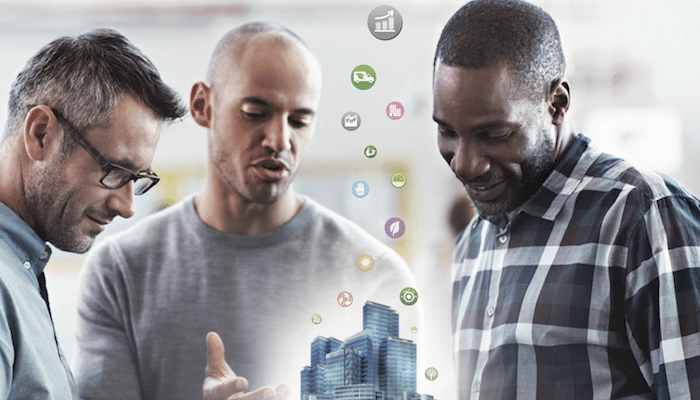 By managing your buildings resources, you can promote system reliability, verify power quality and evaluate current energy efficiency programs. Reporting data is crucial for the effective management of building resources. The right reporting system can ensure that you’re learning from data, trends, and other information, for further growth and improved sustainability. Our systems allow convenient access to the information online, and organizes big data from you building into manageable, easy-to-read reports. 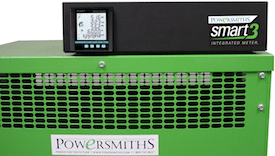 Powersmiths’ submeters and Powersmiths WOW™ building resource management system have integrated software that can help improve workflow efficiency for all steak holders who manage your organization’s building resources.. Some of the key benefits of this technology include automated reporting with customized, pre-created, auto-populating charts and graphs, and aggregation and access to various data points from a wide variety of sources, within multiple buildings. This turn-key solution might just be what your organization is looking for to improve data reporting methods. Contact us today to learn how you can get started. Improved resource management can be beneficial to a building owner or organization in many ways. Most often, tenant billing is one of them. An innovative approach to building resource management can enable you to track, record, and learn from how the occupants in your building are using the energy. This information can help you to create a more beneficial plan for billing your tenants. With our integrated metering, data collection, and reporting solutions, you can gain a better insight into individual tenant utility usage, ultimately enabling you to provide your tenants with fair utility bills. Not only can you improve your approach to utility management, but you can also automate and even streamline the reporting processes using pre-built, real-time and auto-populating charts. Many organizations in different markets can benefit from efficient building resource management. Improved use of resources like gas, water, steam, and energy can contribute to a brighter, more sustainable future. Powersmiths building resource management systems can be beneficial for organizations in real estate and energy management. Building owners can benefit from efficient tracking and comparison of resource use, which can further enhance the utility consumption management for tenants. Our clients have the opportunity to identify performance problems within the building, and even measure and verify the effectiveness of current energy conservation measures. Our systems can help high-density data centers improve their building resource management strategies in many ways. Energy costs can be accurately allocated and even reduced, as the energy consumption and demand for resources is properly managed. Data centers can also benefit from continuous meter-based measurement and verification (M&V) and commissioning. With the right building resource management system, corporate organizations can effectively educate the occupants within the building about the economic and environmental benefits of the conservation measures used within the building. Building resource reporting is both streamlined and automated, which can further stimulate changes in tenant behavior by using live data to support sustainability outreach and education initiatives. Further utilize your building to support sustainability education. Live data can help showcase the functionality and effectiveness of an educational facility to help educate students and the community about sustainability, energy conservation methods, and the impact it can have on the environment. Improved energy conservation measures can also result in energy savings for colleges and universities, among many other educational institutions. Utilizing a building resource management system in government agencies can broaden the public’s understanding of the impact that resource use can have on the environment. It also creates an opportunity to demonstrate environmental leadership and the wise use of tax dollars. Government agencies can compare resource use, systems, and sub-systems between various buildings from a convenient online platform. Powersmiths can provide a variety of opportunities for healthcare intuitions to save energy with effective resource management. Access to live consumption data can support individual behavior change and encourage energy reduction initiatives. This provides healthcare workers with the opportunity to communicate sustainability initiatives internally, and with community stakeholders, too. Our systems can help organizations within these industries improve their building resource management strategies in many ways Organizations can even measure and track the effectiveness of newly-implemented energy conservation measures, to see if they are headed in the right direction for sustainability. To learn more about how your organization can benefit from energy-efficient technology, contact our experts at Powersmiths today. We offer our clients a wide variety of services that can help improve organizational sustainability. Our top priority is to provide the most effective, application-based solution at the lowest cost possible. These are only a few of the many services we offer our customers. By efficiently managing the resources of your building, you can help lower costs, conserve resources, and bill your tenants more fairly. Not only that, our team of professionals can help you to strategize organizational building resource management goals (like conserving energy, water, gas, etc.) and collaboratively develop a plan. Based on that plan, we will deliver solutions to help you successfully reach your desired project outcomes. Contact us today to speak with one of our professional application engineers and start planning your project today.